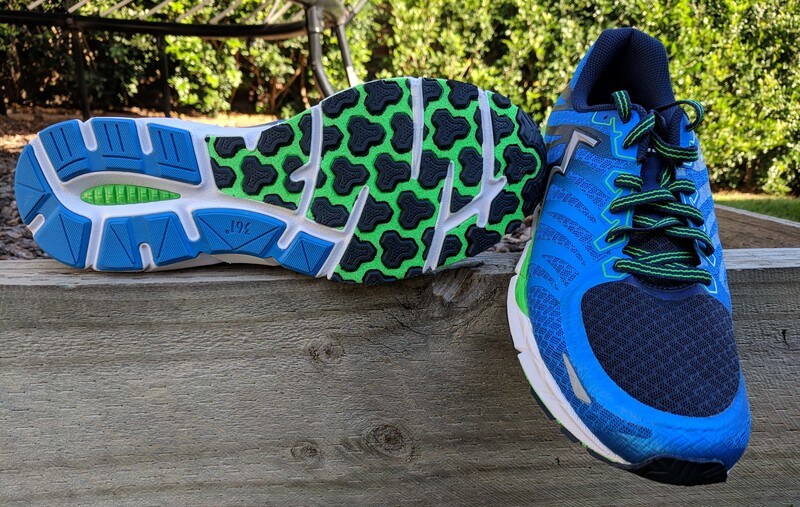 A month or so ago I reviewed the 361 Sensation stability shoe. This time it’s 361 Running’s KGM2 2 shoe. These are different shoes and how they run is different as well. 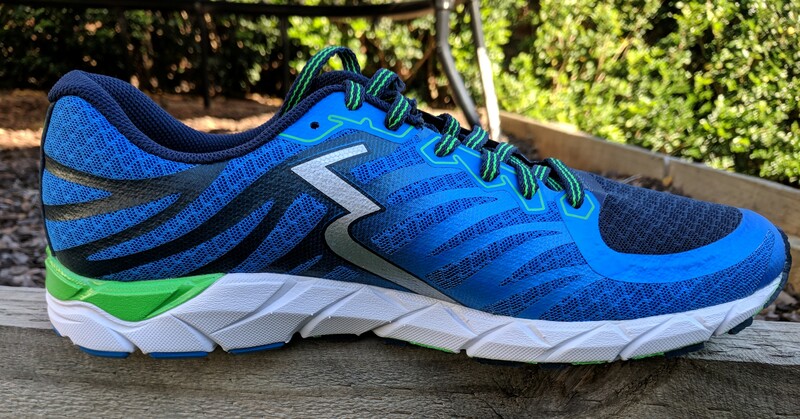 The KGM2 2 is a lightweight trainer, better used as a go fast shoe instead of a daily trainer. The KGM2 2 could also be used as a racing flat for longer races. Sure it’ll handle your bread and butter runs just fine and I’ve run a daily run or two in this shoe with no complaints. If you use it that way you’re selling the shoe short. Where this shoe excels is when you decide to go fast. I’ve run several interval workouts on the roads and 800m dirt track I have access to as well as racing three 5k’s in the KGM2 2. When it’s time to go fast this shoe will go fast! The KGM2 2 is a lightweight, neutral trainer with a seamless upper weighing in at 8.5 oz. It has 9.5mm of drop. The midsole is Quickfoam and CMEVA while the insole is a molded blend of Quickfoam. The outer is carbon and blown rubber with multiple flex grooves running across the forefoot. The outsole provides a excellent traction on a mix of surfaces including dirt, pavement, grass and sandy coated sidewalks as well as excellent wet surface traction. The KGM2 2 has longer and slightly wider toe box then the sensation which I found to be a good fit for my foot, snug but not tight or constricting. My only complaint about this shoe is my own fault. I broke my toe the day before a 5k. While the 5k went fine (I won) sticking my foot into the shoe was somewhat painful. The last thing you want is to think about in the middle of a race or interval workout is your shoe. With the KGM2 2 you won’t have to. When you want to go fast the shoe will go fast. It’s responsive. It runs well, light and quick. The transition from landing to toe off is excellent and smooth. 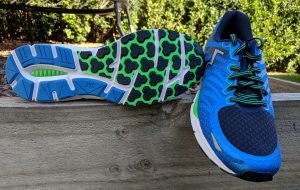 I found this shoe to run firm yet comfortable without being hard or stiff. It feels low to the ground although offers plenty of protection from thorns and such. There was a 3/8in thorn sticking up into the midsole through a flex groove in the forefoot yet I did not feel it poking into my foot while running. The KGM2 2 can be used as a daily trainer although this shoe is a great shoe for those go fast days. It would make a good 10k racing flat and a great half marathon or marathon shoe. It has a seamless upper which would also make it a great choice for a triathlon race shoe especially for Olympic’s and 70.3’s. If you’re on the pointier end of Ironman marathon run speed then this could also be the shoe for you in those races. All in all the 361 Running KGM2 2 lightweight running shoe is a joy to run in. Everything you want in a go fast shoe and nothing to hold you back! I’d like to thank 361 Running for sending me these shoes to test run.